Integration of safety features in different cars running on roads has become the matter of concern in recent years and governments of all countries across the world are compelling car manufacturers to equip their car with standard safety features. In such scenario if someone appreciates the initiatives made by the government of India in this regard, then there would be hardly any Indian car owner who will not feel proud on it. According to recent Global New Car Assessment Programme (Global NCAP) Indian government is taking sincere steps towards the integration of safety features in vehicles that are being launched in Indian car market. 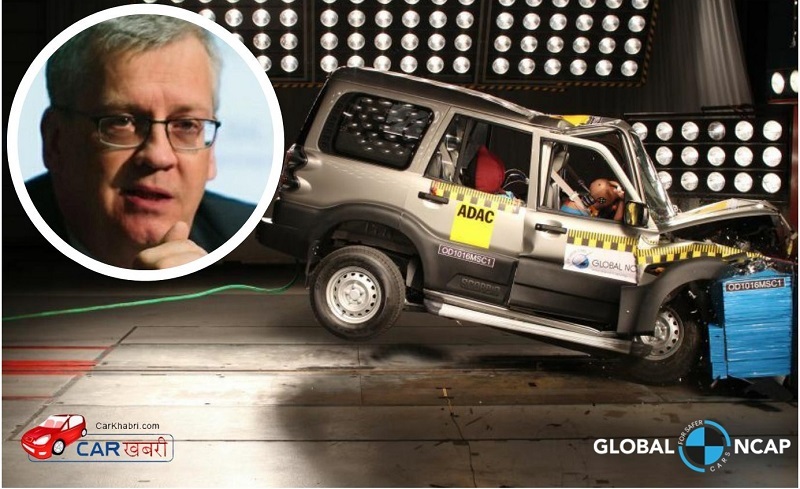 This was also stated by Mr. David Ward, Secretary General, Global NCAP, “India is making good progress in making vehicles safer”. It would be interested to know that with this the government of India is also going to introduce its personal vehicular safety regulation Bharat NCAP in Indian car market, that will be effective from October this year. Appreciating India’s efforts Mr. Ward said, “In some areas India is a world leader, for example, in mandating anti-lock brakes for motorcycles. However, in other areas more needs to be done such as introducing a regulation for the anti-skid technology electronic stability control (ESC). Talking about India’s consultation with global agency before drafting the guidelines for Bharat NCAP Mr. Ward said the process of formulation of Bharat NCAP came into existence when the cars running on Indian roads failed in NCAP test 2014, at that time except Volkswagen Polo that was equipped with two airbags, cars from Tata Motor, MSIL, HMIL, and Ford failed in the test. Continuing his statement Mr. Ward said, “From the launch of the Safe Cars for India project in 2014, we have encouraged the Indian Government to adopt front and side impact crash test standards based on UN regulations. That is why in our first phase of results we carried tests at both the regulation speed of 56 kmph and also at the usual NCAP speed of 64 kmph. This showed clearly that very popular models in India would not pass the UN frontal impact test”.